Verses RWBY, TEKKEN- - Fantasy, Supernatural, Action, Adventure. Writing Style Para - Multi-Para Quote "You really want to start making things up to me? Read this and don't ever speak to me again!" The above 'background-image' is the blue/white strip at the bottom of the table. If you want to replace it, the dimensions are 500px width by 65px height. Weiss Schnee Weiss was born as an heiress to the Schnee Dust Company, which her father currently controls. However, due to the company's mistreatment of Faunus labor and the resulting escalating backlash targeted at the both the company and her family by the Faunus Civil Rights Protest and the White Fang, her childhood upbringing was a "very difficult" one. She accounts multiple times greeting her stress-ridden, aggravated father after the workday, which produced a very uneasy family lifestyle when Weiss was a child. She also recalls several hardships within the company, such as the disappearance of family and friends, as well as the execution of company board members at the hand of the White Fang extremists. As a result, her frustration and hatred was directed towards Faunus as the cause of her family's troubles. "White" TrailerEdit Weiss appears to have a background in singing, as shown in the trailer. She also has a history with the White Castle, with it serving as the place in which she sings, as well as where, in a presumed flashback sequence, she fights the Giant Armor. MangaEdit Weiss is seen with Team RWBY in the Beacon Academy food halls talking about the nature and uses of Dust, before they are interrupted by Cardin Winchester throwing Jaune Arc into their table, sending it flying. When Cardin begins antagonizing Ruby Rose, who stepped in to defend Jaune, Professor Glynda Goodwitch appears and turns the situation into an official sparring match. Ruby nervously freezes up due to the large audience present and the size of Cardin's weapon, but with some encouragement from Weiss, manages to defeat Cardin easily. The third chapter explores Weiss Schnee's backstory before she met the rest of her team. As the heiress of the Schnee Dust Company, was raised from youth to strive to be the best in all she did, and excelled at activities such as singing and playing piano. Although praise was generously heaped upon her by others, she had always lacked the approval and recognition of her father. Years later, Weiss is training in combat with her weapon, the Multi-Action Dust Rapier Myrtenaster, under the supervision of her father's aide, the President's Secretary. The Secretary praises her skills in combat and mastery of her Semblance, but comments that she must continue to apply herself in her training at Atlas Academy. Weiss retorts that she has no desire to study at Atlas, and has instead decided to study at Beacon Academy in Vale, in order to put distance between her and the family. When the Secretary attempts to dissuade her from studying at Beacon, claiming her father is merely concerned for her well-being and thus wishes to keep her close by, Weiss acerbically calls the Secretary a mere puppet of her father. In response, the Secretary unleashes her next opponent, an enormous animated suit of armor which has been "possessed" by amalgamated Grimm. The armor was created by the Company from captured Grimm specimens and is described as being as powerful as a mech, giving Weiss a slim chance of winning. It is revealed by the Secretary that this is a "test" formulated by her father, who expects her to win in order to prove herself. Weiss retaliates with Myrtenaster as the suit attacks. As she fights, Weiss decides that she is tired of continuously living up to the expectations of others. RWBYEdit Welcome to Beacon AcademyEdit As Weiss and her servants begin moving cases to her room at Beacon, she gets into a dispute with Ruby Rose, who has crashed into her belongings. As Ruby watches Weiss begin to gather her stuff, she accidentally sneezes due to Dust inhalation, and subsequently explodes a bit of Dust in their faces, angering Weiss. 1102 The Shining Beacon 03668 Weiss' first interaction with Ruby Weiss is further angered when Ruby continues to be disoriented in response to her scolding. Blake Belladonna interrupts the dispute, recognizing Weiss as the heiress to the Schnee Dust Company. Initially delighted to get some recognition, her pleasure dissipates when Blake also brings up the controversy surrounding the company, causing her to storm off. Within the main assembly hall of the academy, she confronts Ruby, lecturing her on Dust and her company, giving Ruby a pamphlet on Dust to accompany the lecture. She then tells Ruby to never speak to her again. While giving this lecture, she gets into an argument with Yang Xiao Long. Later that night, Weiss goes to complain about the noise keeping her awake, only to find that the three noisemakers were the three people she had a confrontation with earlier that day. This leads to another argument. Episodes Covering These Events "The Shining Beacon" "The Shining Beacon, Pt.2" Beacon Academy InitiationEdit 1104 The First Step Weiss interrupting Jaune's attempt to align with Pyrrha Weiss tries to form a team with Pyrrha Nikos, in attempts to form a pair of "the strongest and the smartest" students at Beacon. However, her manic scheming is interrupted by Jaune, who interjects and tries to flirt with her. Jaune tries to flirt with Pyrrha too, until Weiss bursts out that Pyrrha is a very good fighter and out of his league. Jaune continues, however, but Weiss gets Pyrrha to throw Mil� at Jaune, ending the conversation as the girls leave the locker room. Weiss is then seen on the launch pad lineup on Beacon Cliff, and again when she is catapulted into the air. After using her glyphs to safely land on the ground, Weiss runs into Ruby in the Emerald Forest. Without a second thought, she turns away, trying to find a different partner while Ruby trails behind her. When the next person she runs into is the helpless Jaune, who has been pinned to a tree by Pyrrha's javelin, Weiss concedes to Ruby's badgering and teams up with her. After prompting Ruby to keep up, the younger girl claims she is very fast and rushes off, leaving Weiss alone as several Beowolves circle around her. She prepares to fight the Grimm that have appeared. As she tries to get into proper stance and prepares to attack, Ruby steps in and attacks the Beowolf, causing her Dust attack to misfire and set part of the forest ablaze. This sparks an argument about battle style between the two of them. As Glynda informs Ozpin of the status on the teams, Ozpin watches Ruby and Weiss argue on his Scroll. In the forest, Weiss paces around in circles trying to find the correct way to go and constantly reversing her direction. When Ruby confronts her about her unwillingness to admit she is wrong and has no idea where they are, Weiss still refuses to admit it and claims she knows exactly where they are going before saying that Ruby does not know where they are either. 1107 The Emerald Forest Pt.2 3391 Weiss and Ruby, at odds, again This leads Ruby to admit that while she does not know where they are, she isn't pretending to know everything like Weiss. Weiss starts another argument with Ruby over how they handle themselves when making mistakes. When Ruby tells Weiss to stop acting like she is perfect, Weiss confesses that she is not, at least not yet, but she is still way ahead of Ruby. Weiss then walks away from Ruby back into the woods. Ruby and Weiss are both latched onto the back of a flying Nevermore because of an idea Ruby has. Weiss begins to hate the idea, but when Ruby suggest they jump, she calls Ruby crazy, only to then notice that she actually jumped. Weiss continues to fly on the Nevermore until she falls off and Jaune tries to impress her by catching her, only for them both to fall and Weiss lands safely on his back. Later, when Ruby tries to kill a Death Stalker and fails, Weiss moves in and traps part of it in ice to save Ruby. Weiss then lists most of Ruby's faults, but agrees to be nicer if Ruby would stop showing off. Ruby admits that she was trying to prove she can take care of herself, but Weiss says she is fine. Weiss then notes that each team can gain a relic as they are all at the temple and they all retreat to an old castle. Once there, Weiss, Yang, Blake, and Ruby try to fight the Nevermore, but it simply brushes off their attacks. Ruby then claims she has a plan and asks Weiss to cover her. As Blake, Ruby, and Yang get into position, Weiss freezes the Nevermore's tail to the ground before retreating and using Myrtenaster to pull Ruby back, while Blake and Yang use Gambol Shroud's ribbon as a large slingshot to aid in their efforts. Weiss launches Ruby and she hooks the Nevermore's neck with her scythe, pinning it to a cliffside. Weiss then makes multiple platforms to allow Ruby to pull the Nevermore up the side of the cliff and cut the Nevermore's head off. Back at Beacon, Weiss is made a member of the newly formed Team RWBY. Other Name: Snow angel (Snow Princess: Ruby) Ice Queen. Ling Xiaoyu (凌 曉雨 L�ng Xiǎoyǔ; Japanese: リン・シャオユウ Rin Shaoyū) is a fictional character who was introduced to the Tekken franchise in Tekken 3 as a 16 year old girl and has returned in every subsequent release. Xiaoyu's fighting style was brought on with some influence from her master, Wang Jinrei. Her main goal throughout most of the series is to, through fighting in the tournaments, win so she can earn enough money to build her own amusement or theme park. However, in subsequent games of the series, Xiaoyu became more focused on the Mishima family's issues, in particular those of Jin Kazama. 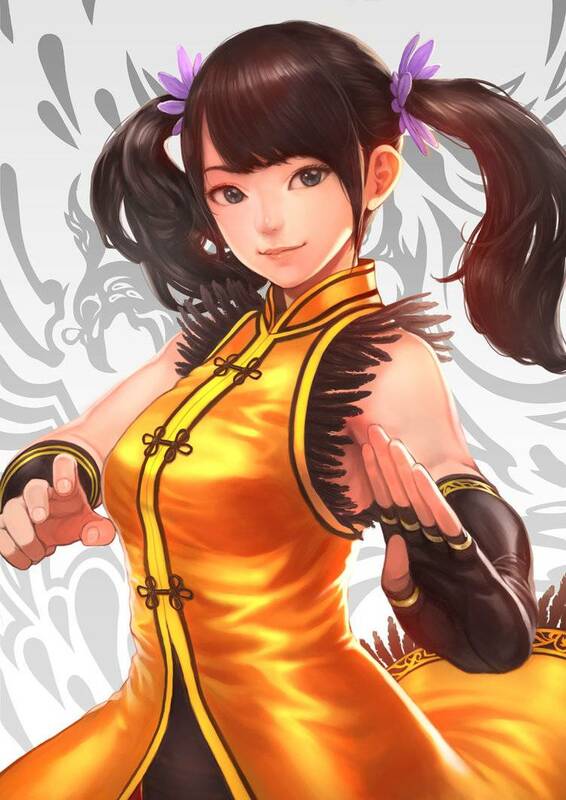 �She is both young and small in stature but Xiaoyu is a skilled martial arts expert. Many believe if she was more serious she could achieve real greatness. Having learned that the Mishima Estate is rich and powerful she seeks out Heihachi (president and CEO) to make her dream a reality. �Xiaoyu was a junior at Mishima High School. She still lived, studied and trained as a ward of the Mishima Zaibatsu. But lacking any particular goals, Xiaoyu grew tired of her everyday routines. LingTekken4 Ling Xiaoyu in Tekken 4 However, one day, she received an anonymous e-mail that warned her of Heihachi�s evil intentions and the danger to her life. Xiaoyu replied to the e-mail, but she did not receive any further messages from the anonymous individual. �Official Version Xiaoyu is a high school student who is on a personal mission to save the Mishima family. In the previous tournament, Xiaoyu was saved from the evil plans of Heihachi by Yoshimitsu, who taught her the history of the LingTekken5 Ling Xiaoyu in Tekken 5 Mishima family. Hearing this, Xiaoyu began to believe that the root of all misfortune surrounding the Mishima's started with Heihachi's cruel upbringing of Kazuya. Version 1 Xiaoyu is a 16 year-old who loves amusement parks. Entering the Tournament is her first step in having the perfect amusement park built in China. Version 2 CUTE, SPIRITED, HAS PANDA... WILL TRAVEL. This young girl loves amusement and theme parks. Her dream is to build the perfect amusement park in China when she grows up. LingTekken3 Ling Xiaoyu in Tekken 3 She is both young and small in stature but Xiaoyu is a skilled martial arts expert. Many believe if she was more serious she could achieve real greatness. Having learned that the Mishima Estate is rich and powerful she seeks out Heihachi (president and CEO) to make her dream a reality. While vacationing in Hong Kong with her family, Xiaoyu stowed away on a yacht bearing the name, Mishima Financial Empire. Heihachi was not on board but Mishima's men discovered her soon after the ship left port and Heihachi was informed immediately. Upon his arrival, Heihachi found his men beaten and strewn around the ship as if it was hit by a hurricane. She threatened that she would go berserk again if he did not accept her challenge. Roaring with laughter, he promises to build the amusement park of her dreams if she wins the tournament. Ending Description, "Dreamland? ": Heihachi Mishima keeps his promise, and builds Xiaoyu a theme park. Xiaoyu imagines a place full of happiness and color named "Xiaoyu Land". However, when her daydream ends, Heihachi unveils the real theme park, which is a gloomy place he calls "Heihachi Land". Heihachi roars with laughter. Xiaoyu gets angry, and beats up Heihachi, yelling "Jerk". Oddly, this ending is combined with anime-like animation & CGI. Tekken 4 Xiaoyu was a junior at Mishima High School. She still lived, studied and trained as a ward of the Mishima Zaibatsu. But lacking any particular goals, Xiaoyu grew tired of her everyday routines. LingTekken4 Ling Xiaoyu in Tekken 4 However, one day, she received an anonymous e-mail that warned her of Heihachi�s evil intentions and the danger to her life. Xiaoyu replied to the e-mail, but she did not receive any further messages from the anonymous individual. Xiaoyu's intuition told her that Jin Kazama, who had been missing since the last Tournament, could have sent the message. She believed the message and started to suspect Heihachi and the Mishima Zaibatsu. Upon hearing the announcement of the next Tournament, Xiaoyu made the decision to enter � hoping to be reunited with Jin and to unveil the truth behind Heihachi and the Mishima Zaibatsu. Ending Description: Victory for Xiaoyu in the Tournament is not only a victory that few believed possible but also one that reveals the Mishima Zaibatsu's evil deeds for all to see. Soon after, Miharu Hirano is shown visiting an executive's office, and the chair behind the desk swivels around to reveal Xiaoyu, who has taken over the Mishima Zaibatsu. Miharu wonders what Xiaoyu is doing in the office, and when she replies that she's working, Miharu replies that she looks like she sits there and does nothing. Xiaoyu casually asks her friend how she did in her college entrance exams, and Miharu confesses that she has flunked all of them. Wanting to help her friend, Xiaoyu offers her a job with the Mishima Zaibatsu, stating that from now on, she is going to make her own dreams come true. She tells Miharu that she saw Jin after the tournament and that he told her if she has a dream that she wants to come true, she should make it happen herself. Miharu lightly teases her, but recognizes a change in Xiaoyu, who used to depend on everybody else. Miharu agrees to work together and asks her friend what her dream is. Xiaoyu points out the window and responds, "Help me build that." The camera reveals a massive theme park being built with Mishima Zaibatsu funding and resources. Tekken 5 Tekken 5 Manual Version Xiaoyu cried when she heard Heihachi had been killed. In her sorrow, she wished she could go back in time. One day, Xiaoyu met a self-proclaimed genius who boasted he could invent a time machine if only he had the money. To fund the invention, Xiaoyu decided to enter the tournament. Official Version Xiaoyu is a high school student who is on a personal mission to save the Mishima family. In the previous tournament, Xiaoyu was saved from the evil plans of Heihachi by Yoshimitsu, who taught her the history of the LingTekken5 Ling Xiaoyu in Tekken 5 Mishima family. Hearing this, Xiaoyu began to believe that the root of all misfortune surrounding the Mishima's started with Heihachi's cruel upbringing of Kazuya. When Xiaoyu heard of the death of Heihachi, a tear came to her eye. "If only I could turn back time..." Xiaoyu said with a hint of sadness and regret. Later, Xiaoyu happens to meet a brilliant scientist who claims that he can make a time machine as long as he gets the funding for development. 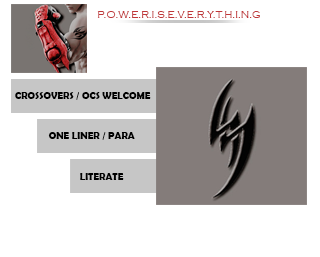 Under the condition that she will be first to use the machine, Xiaoyu pulls out the wadded scrap of paper in her pocket... an invitation to the King of Iron Fist Tournament 5. Interludes: After defeating several people, Xiaoyu finds out that her next opponent is Jin. Jin Tells her that the tournament is dangerous and tells her to leave. Xiaoyu argues that if certain things didn't happen in past Heihachi wouldn't have died like this and she's going to turn time back, to which Jin says that things can't be reversed and Heihachi is dead. After defeating Jin, Xiaoyu apologizes and says that after she wins the tournament they can go back to good times. After Jinpachi Mishima is defeated by Xiaoyu, he thanks Xiaoyu and disappears. Xiaoyu gets confused and after a while she frustratedly says "What do you mean "thank you"? Who am I supposed to get the prize money from?" Ending Description: After winning the tournament, Ling Xiaoyu is the first to use her time machine. She travels back to the time when Heihachi Mishima was about to throw Kazuya off of a cliff, intending to avert this event that will rip the family apart. Unfortunately, Xiaoyu had lost control of the time machine and it barreled into Heihachi and Kazuya, sending Kazuya falling off of the cliff, while Heihachi is nearly sent over himself. Xiaoyu is wretched because of her failure, and the old scientist comes to her, laughing, and tells her that nobody can really change the past, remarking "The best you can hope for are minor improvements." This ending is also animated. Tekken 6 Ling Xiaoyu breathed a sigh of relief when she heard Heihachi had not truly died. However, as head of the Mishima Zaibatsu, Jin Kazama aims to take Heihachi�s life. Xiaoyu was going to try and stop Jin herself, but the Zaibatsu pushed towards militarization, making it difficult to approach Jin. Ling-6 Ling Xiaoyu in Tekken 6 The Mishima Zaibatsu�s declaration of war drew hostility from around the globe. When the King of Iron Fist Tournament 6 is announced, Ling Xiaoyu enters in the hope that she can save Jin�s soul from evil. Ending Description: Xiaoyu meets Jin on a rooftop, where he is on the ledge about to jump. "No Jin! Don't do this." she says, but Jin sadly replies, "The evil I've perpetrated...can never be undone." He makes to sacrifice himself, but Xiaoyu jumps onto the ledge and hugs Jin, saying, "I...I'll stand by you~ Please... You can't do this!" After having a conversation, Jin says, "Thank you, Xiao". Suddenly, it's revealed that the sequence was just a dream. She wonders if she hugged Jin but no; it was Panda. After Panda pushes off Xiaoyu, she wakes up, but is still half-asleep, asking, "Where am I? ", not realizing right away that it was just a dream. Tekken 7 Tekken 7 ling xiaoyu cg art by xiaoyukaede-d8flkqm Ling Xiaoyu infiltrated the Mishima Zaibatsu building in search of information relating to Jin Kazama's disappearance. Creeping deeper into the enemy territory under the guards' noses, she eventually hears Heihachi Mishima's voice coming from a room; he was giving orders about locating Jin. Just as Xiaoyu was about to sneak into the room, a man dressed all in white emerged and pushed her back. "Take me to Jin!" Xiaoyu demanded, unflinching. The man stood there for a moment, before ordering Xiaoyu to follow him. He led her to the roof, then silently turned toward her, and readied himself to fight. Xiaoyu took up her fighting stance, and said, "So that's how it is... If you think I'm just some little girl, you're sadly mistaken." Ending Description: After defeating Claudio, Xiaoyu is overjoyed that he agreed to let her come with him. But he tells her that she must be prepared. Xiaoyu replies that she is ready and knows what she must do. Claudio then turns and says, "Good... I was hoping you would say that. ", with a grin on his face. Other appearances Tekken: The Motion Picture Ling Xiaoyu was shown in the opening of Tekken: The Motion Picture movie. Tekken Tag Tournament Ling Xiaoyu is featured as a playable character in Tekken Tag Tournament. She retains her moveset from Tekken 3 with a few more moves added. In this game, like Tekken 3, she continues to seek her dream of a world renowned amusement park and is still slightly concerned for her classmate, Jin Kazama. She has two different endings. Tumblr nzdu6ywcc91qfnw69o1 500 Ending Description: She admires a beautiful evening sunset at the beach. She rides Panda towards the beach. Alternate Ending: Mishima Polytech lets out for the day. She catches up to Jin whom is in solitude and his school bag over his shoulder, as he continues and she is walking backwards having a conversation with him briefly. She then continues on her way saluting Jin goodbye, but looks forward in a slightly worried state. Tekken Tag Special Alliance Partners Jin Kazama Heihachi Mishima Panda Kuma Yoshimitsu Wang Jinrei Project X Zone Project x zone conceptart qAp56 (1) Xiaoyu is featured as a playable character in the tactical role-playing game Project X Zone, with Jin Kazama as her partner. Prologue Xiaoyu meets Jin somewhere in Tekken universe and asks him to wait, to which he tells her not to follow him and its his problem to handle. Xiaoyu argues that its not, and she notices that something is wrong with Jin. He tells her that he came here to find out what's happening to him. Suddenly some kind of demons appear in the fountain next to them. Xiaoyu gets terrified and asks Jin what those are, to which Jin says that they're demons that came after Jin. Jin's genes start to react to the demons. Out of nowhere, something else appears, to what Xiaoyu refers as "silver skin freak", which is in fact Dural form the Virtua Fighter universe. Jin doesn't feel good and Xiaoyu starts to worry. Later, Akira and Pai from the Virtua Fighter universe appear and ask if Xiaoyu and Jin are okay. They introduce themselves and Jin tells them to get Xiaoyu out of this place. Akira and Pai decide to help Jin and Xiaoyu to fight monsters and Dural. After a while, they meet Juri from Street Fighter universe who also came looking for Dural. Then, Ryu and Ken come and ask Juri about what's happening. They have a conversation. Xiaoyu asks Jin who those guys are and Jin says they're the ones who get involved in things too easily, just like him. They greet each other. Suddenly, something happens and everyone, except Pai and Akira dissappear. Tekken: Blood Vengeance 1888083-2011630155346 7 Tekken Blood Vengeance casts Xiaoyu in a starring role. Anna Williams recruits her to spy on Shin Kamiya and she befriends Alisa, who, unknown to Xiaoyu, has been dispatched by the Mishima Zaibatsu. Xiaoyu and Alisa found out that Shin has the M-cell and they both along with Jin and Kazuya follow him to Kyoto Castle. After Heihachi kills Shin, Xiaoyu tries to stop the fighting but fails. After Alisa is badly damaged, Xiaoyu cries and Jin, now enraged transforms into his devil form and eventually defeats Kazuya. While Heihachi fights Devil Jin, Alisa sacrifices herself to distract Heihachi and Jin defeats him. Jin, seeing Xiaoyu's pain, reverses Alisa from standby mode and Xiaoyu thanks him. He tells Xiaoyu that he would be waiting for the day where she grew strong enough to defeat him and Xiaoyu happily watches him leave. In the credits, Alisa, Panda and Xiaoyu decide to enter the Tekken Tournament together. Street Fighter X Tekken Ling Xiaoyu is featured as a playable character in Street Fighter X Tekken. Her official tag partner is Jin Kazama, with both serving as the mid-boss team for the Street Fighter characters. Their rivals are M. Bison and Juri while their rivals in Arcade Mode are Chun-Li and Cammy. Project X Zone 2 Project-x-zone-2-ling-xiaoyu-screenshot Xiaoyu is featured as a playable character in the tactical role-playing game Project X Zone 2, with Chun-Li as her partner. Story: Xiaoyu goes on looking for Jin, when she runs into Chun-Li, who was fighting with Juri. Xiaoyu and Chun-Li greet each other and Chun-Li asks her what she's doing there. Xiaoyu then explains how Jin was going to Shibuya and he said he was going to kill someone (referring to Kazuya), and then he disappeared. She came to look for him, to which Saya remarks "Xiaoyu, noble as ever". M. Bison says that it bores her and tells Juri to kill Xiaoyu as well. Xiaoyu realizes she came at the wrong time and Chun-Li says she shouldn't worry, she will protect her. They team up. By the time seeing Kazuya and Jin work together after joining the heroes like herself, Xiaoyu is amongst of other heroes who are worried that both Kazuya and Jin might ended up killing each other, and reminds them and Heihachi to get over their conflicts between each other to save the humanity from Ouma. Tekken Tag Tournament 2 Ling Xiaoyu is featured as a playable character in Tekken Tag Tournament 2. She is also featured in the second trailer teaming up with Lili against King. She is also one of the four characters to be featured in Tekken Tag Tournament 2 Prologue. The others included are Alisa, Devil, and Devil Jin. Tekken Tag Tournament 2 Xiaoyu's Arcade Ending03:01 Tekken Tag Tournament 2 Xiaoyu's Arcade Ending Ending Description: Xiaoyu, Alisa, Miharu, and Panda are at an amusement park. Rain however, suddenly falls, forcing the girls to find shelter. After they've found it, Miharu brings up how they are becoming adults and will need to make difficult choices. She continues to wonder where they will be in 20 years. Xiaoyu jokingly says that wherever they will be, they will have wrinkles. Miharu thinks that in 20 years, Xiaoyu may be married to "that certain someone". Although both girls know that Miharu is referring to Jin Kazama, Xiaoyu tries to feign ignorance. Just as this is said, the sun breaks through the clouds. Xiaoyu cheers while Alisa inquires on who Miharu thinks Xiaoyu will be married to. Xiaoyu tells Alisa to figure it out herself and runs off. The girls follow and jump in the air with Xiaoyu saying that no matter what happens, the future is what one makes it. Special Alliance Partners: Miharu Hirano Wang Jinrei Panda Alisa Bosconovitch Jin Kazama Heihachi Mishima Asuka Kazama Emilie De Rochefort Sebastian Lei Wulong Kuma Roger Jr. Alex Tekken Revolution Xiaoyu is featured as a playable character in Tekken Revolution. Tekken Card Tournament Xiaoyu is a playable character in Tekken Card Tournament. Her cards focus on frequent draw-power at the price of having overall weak stats, making her akin to a lightning bruiser or fragile speedster . She also lacks many parries, and although she can boost her damage output with certain cards, these cards are somewhat more tricky to activate. She is not recommended for beginners, as balancing her decks can be tricky, but when mastered, she can be a very annoying adversary. Also noteworthy is that the game developers have stated that Lili players are a tough match-up for her, as Lili basically feeds off of Xiaoyu's plentiful cards to activate her own card abilities. The above background image is the green and white rectangular print. If you want to swap it out, the image size is 400px by 400px. Ruby Rose is the main protagonist of RWBY. Ruby's weapon of choice is her High-Caliber Sniper-Scythe (HCSS) known as Crescent Rose. She first appeared in the "Red" Trailer visiting the grave of her deceased mother, Summer Rose. After an invitation from Headmaster Ozpin following an altercation with Roman Torchwick, Ruby attends Beacon Academy to become a Huntress. She becomes the leader of Team RWBY, consisting of Weiss Schnee, Blake Belladonna and her half-sister, Yang Xiao Long. Following the destruction of Beacon Academy, Ruby travels to Haven as a member of Team RNJR. Blake Belladonna is one of the main protagonists of RWBY. Her weapon of choice is a Variant Ballistic Chain Scythe (VBCS) named Gambol Shroud. She first appeared in the "Black" Trailer alongside Adam Taurus, her then-boyfriend, partner and mentor in the White Fang, a Faunus terrorist group. After leaving the organization, Blake enrolls in Beacon Academy, where she becomes a member of Team RWBY alongside Ruby Rose, Weiss Schnee and Yang Xiao Long. Yang Xiao Long is one of the main protagonists of RWBY. Her weapons of choice are a pair of Dual Ranged Shot Gauntlets, Ember Celica. She made her first appearance in the "Yellow" Trailer, searching for clues regarding the whereabouts of her mother, who left her when she was very young. At Beacon Academy, Yang becomes a member of Team RWBY alongside Weiss Schnee, Blake Belladonna and her younger half-sister, Ruby Rose. Asuka is surprisingly brash and arrogant. Although her profile states that she breaks up fights regularly, she seems to have no qualms about fighting and seemingly revels in it. In her story mode, after defeating her target, Feng Wei, she decides to remain in the tournament in order to "have fun". Her pre and post-match quotes also demonstrate her confidence. As stated in her Tekken 5 / Dark Resurrection prologue, Asuka is also known as being a "nosy kid" who likes to solve other people's problems, "usually by knockout". Asuka speaks in Kansai dialect (Kansai is a region of western Japan encompassing major cities such as Kyoto, Osaka, and Kobe). Asuka is somehow related to Jun Kazama (Jin's mother) and is the rival of Emilie "Lili" De Rochefort. Jin Kazama is the son of Jun Kazama and Kazuya Mishima. Jun's intimate relationship with Kazuya grew and she became pregnant with Jin. The devil within Kazuya attempted to enter Jin while he was still in his mother's womb, but Jun managed to fight it off. Afterwards, Jun moved to a remote location in the mountains where she raised Jin and trained him in the Kazama family's self-defense fighting style. Several years later, Jun sensed the approaching of a great evil (Ogre) and decided that it was about time she told Jin concerning his origins. She also told him that if anything were to happen to her, he should look for his grandfather, Heihachi Mishima. Jun's premonitions proved to be true, as she was attacked by Ogre four days later on Jin's 15th birthday. Hours after the chaos, Jin, who fell unconscious, then awoke amongst the rubble and began searching for his mother, with no success, enraged, Jin swore revenge. He was then taken in by Heihachi, who began to train him in Mishima-style Karate. Character Photo Dimensions Topper Image Sizes: Div class imageX (Photo in circle) = 174px by 174px ( You can put in a 200 by 200 pic, a 500 by 500 pic, etc. The photo will auto-resize to the appropriate dimensions. Just don't load a pic that is not AT LEAST 174 by 174.). Left Side Tables BriefBioTable/Div class pic = 250px width by 250px height. StatsTable/Div class photo = 375px width by 500px height. LyricsTable = 500px width by 300px height. Right Side Tables First Table = 500px width by 500px height. ConnTable/Div class middlePic = 200px width by 250px height. ConnTable/Div Class Conn1, etc (Earn It/Connection Images) = 90px width by 190px height. Hi Weiss! I love you!